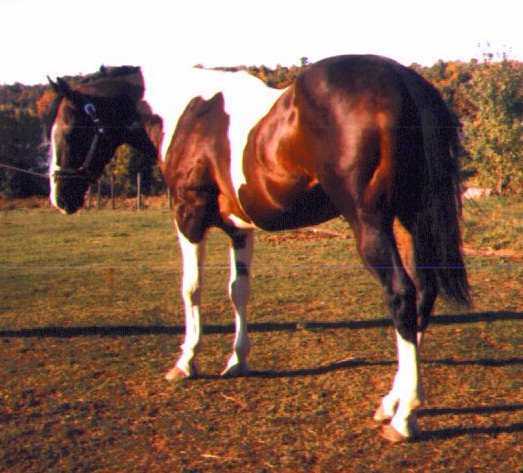 PHS Little Lady (Little Lady) is a 1993 PtHA chestnut tobiano mare by Executive Producer and out of PHS Painted Lady. 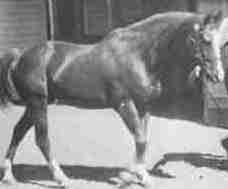 Little Lady is owned, loved and ridden by our son Benjamin and she’s one of the Schermerhorn family favorites. 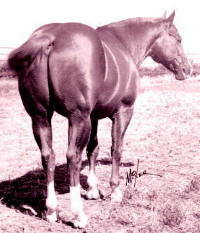 Her dam was the first horse we ever owned and her sire was our herd sire for many years. 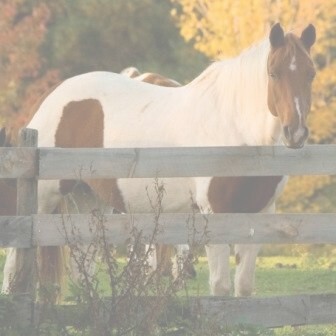 Little Lady is one of our best family trail horses and she is also used in our lesson program. 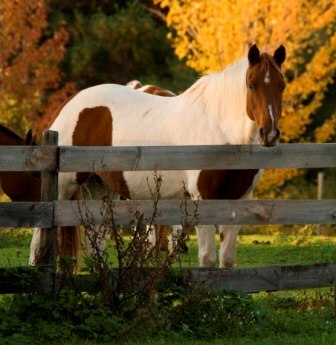 Her first colt, Dingo, is a '04 palomino gelding and he is owned by our son, Benjamin. 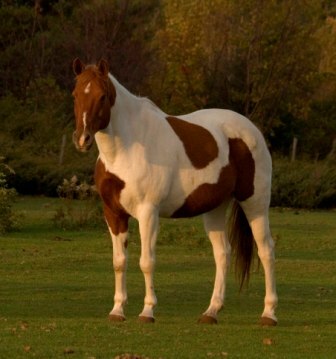 Her 2007 colt, Gator, can be seen on our sales page.